Fact finding is necessary for any buyer’s agent. The degree of due diligence can make or break a successful real estate transaction. This is especially true when it comes to the significant investment a Scottsdale luxury home buyer makes. Is it up to the home buyer to do their due diligence? The listing agent? The buyer’s agent? Buyers relying solely on listing agents for due diligence are not guaranteed full protection because they represent sellers by default. That’s why when buying Scottsdale luxury real estate, a Scottsdale exclusive buyer’s agent offers the fullest protection for the Scottsdale luxury home buyer. Their razor sharp focus on all the minute details that demonstrates the fullest extent of due diligence and protection. There are no split loyalties or hidden agendas. A Scottsdale buyers agent performs services the seller's agent can't, such as provide solid reasons not to buy a particular property; negotiate the best price and terms; include contingencies in the contract for protection, rather than the seller as in most standard contracts; and strengthen the bargaining position of Scottsdale luxury home buyers. Their sole mission is to represent and protect the buyer with the utmost good faith, loyalty and fidelity. The Scottsdale buyers real estate agent has fiduciary duties of confidentiality, care, obedience, accounting, disclosure of material facts, and diligence. They leverage their experience to develop creative solutions to issues and build trust with honorable and transparent business practices. 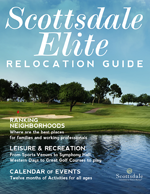 Their job is to understand the interests and goals of the Scottsdale luxury home buyer, and translate them into effective communications with other people involved in the transaction. Throughout this complex transaction, this buyer’s agent serves as advocate, negotiating on behalf of the buyer and providing guidance, direction, coaching and support.